Düsseldorf final, possible fourth round clash? China’s Fan Zhendong and Ma Long, men’s singles finalists two years ago in the German city of Düsseldorf; at the forthcoming Liebherr 2019 World Championships in Budapest, it is not beyond the bounds of possibility they could meet in the fourth round. We will know the answer on the eve of the tournament; the draw for the higher seeded places takes place on Saturday 20th April. 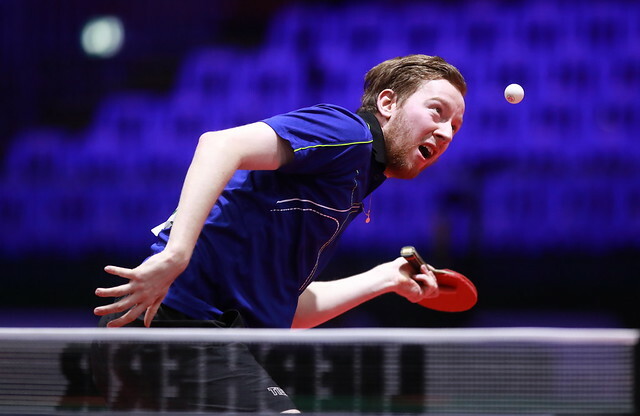 It is just one of several intriguing contests possible in the fourth round; equally, Ma Long could face colleague Xu Xin, Germany’s Timo Boll could confront compatriot Dimitrij Ovtcharov and Vladimir Samsonov of Belarus could face any of them! All have one factor in common, at some stage during their illustrious careers all have occupied the top spot on the world rankings. Seeding is based on the world rankings for April; Fan Zhendong and Xu Xin occupy the top respective places, Timo Boll appears at no.5, Ma Long at no.11, Dimitrij Ovtcharov at no.12. Further down the order is Vladimir Samsonov at no.19, for seeding purposes one place higher, as the name of Lim Jonghoon, ranked no.17, does not appear on the Korea Republic entry. Next in line to Xu Xin is colleague Lin Gaoyuan, followed by Japan’s Tomokazu Harimoto; they are ahead of Timo Boll. Korea Republic’s Lee Sangsu is listed at no.6, followed immediately by Brazil’s Hugo Calderano and Koki Niwa. Any top eight name that advances to the fourth round (the last 16) could well facing Ma Long, the defending champion.